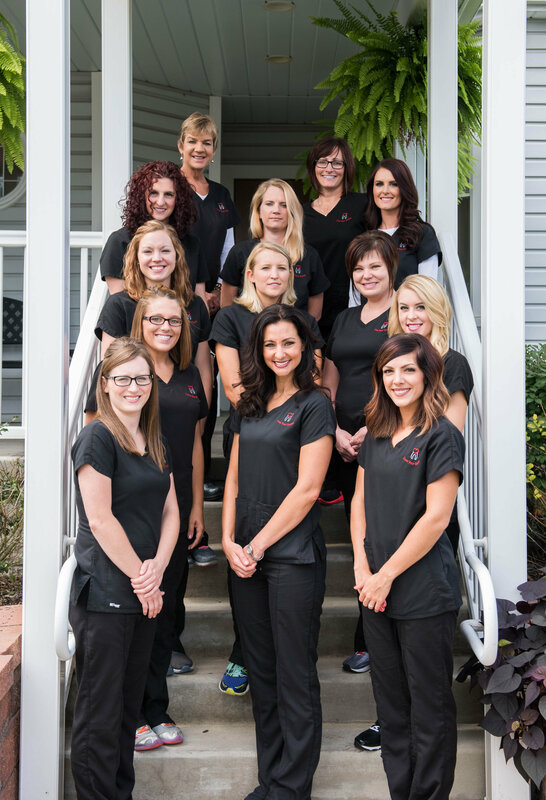 Marysville Dentistry | Our Practice | Love Your Smile! Our main focus is the needs of our patients. Our staff keeps dentistry about you and follows several philosophies to maintain that focus. Guster, Losey & Mack DDS Inc. serves the dental needs of Marysville, Plain City, Richwood, and the surrounding communities. Dentistry, like all health professions, requires a significant amount of skill and care in order to help patients receive the best quality care possible. Patients want to love their smiles, and they need to go to someone who can help them love their smiles again. Our Marysville dentists are able to deliver the high-quality work necessary to develop and maintain a healthy, beautiful smile. Drs. Losey, Mack, and Guster take their time to carefully craft the treatment plans and procedures which will help you love your smile. From deciding what type of crown would best serve your restorative dentistry needs to determining if you need a root canal, our dentists make sure that they know all aspects of your dental health in order to deliver the most effective treatments, which are then provided with precision and care. To help our patients feel more comfortable receiving dental treatments, our Marysville dental practice features patient education and affordability. In addition to taking our time to deliver quality dental services, we also take the time to help our patients understand why a certain treatment plan would best serve their dental needs. We make sure to speak to you and answer any questions about the plan we propose so that you can go from appointment to appointment knowing what type of work to expect. Similarly, we understand that patients may be concerned with the price of a procedure and whether their insurance can support that service. Our dentists encourage you to express these concerns openly so that our practice can work with you to develop a dental treatment plan that fits your health and financial needs. We can even provide financing through CareCredit for services like dental implant placement, allowing you to restore your smile without concern. However, our Marysville dentists do not simply take their time; they also respect your own time. The appointments you schedule with Guster, Losey & Mack DDS Inc. are done in order to keep you on time so that your visit meets your needs. Our Marysville staff maintain a tight schedule; most patients find themselves only having to wait fifteen minutes at most between when they enter the office and when they have their examination. Guster, Losey & Mack DDS Inc. can serve patients from Marysville, Plain City, Richwood, and the surrounding communities. To learn more about our patient-centered approach to dentistry, call us today!